I’ve been trying out some new recipes, flavors and ideas lately. I don’t have a recipe for you today, but I wanted to share some stuff I’ve been cooking and working on. These are the treats of the future. The inspiration for these cookies came from a recipe I do for a Lemon-Olive Oil-Rosemary Cake w/ Strawberry Glaze…which is nothing even close to being gluten free. I’ve been experimenting more these days with gluten free baking. I’m not allergic or sensitive to gluten (yay! I love glutens) but I like to incorporate as many different cooking and baking styles as I can. And you know, it turns out there are A LOT of people who cannot eat gluten. 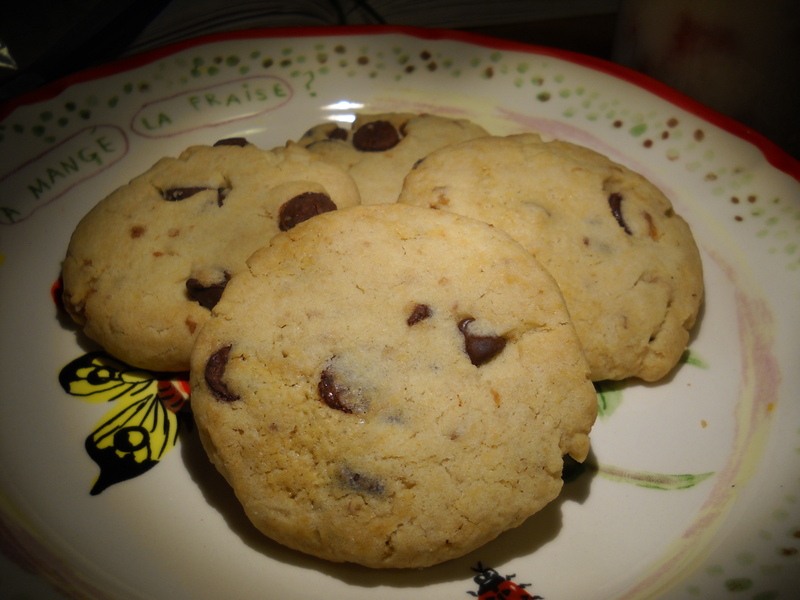 There was a cookie recipe posted on Manifest Vegan that I used as a baseline for helping me to formulate this recipe. I was really happy with these cookies. I made a big batch and passed a lot of them out and the reviews were very positive. At the same time, I’m not quite sure if I’m ready to share yet. I used a lemon-fused olive oil, handpicked lemons and fresh rosemary from around the neighborhood. Oh man. 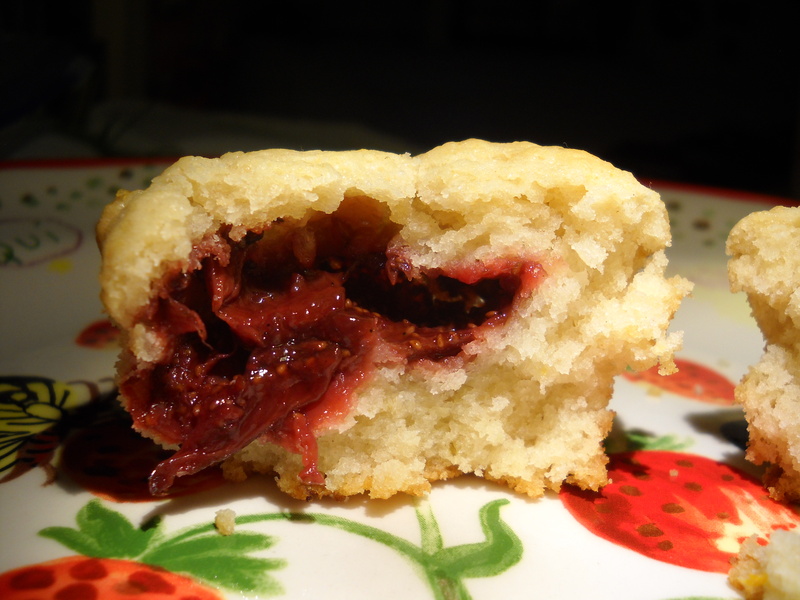 Who knows why I had the desire to put fake bacon into cookies….But, it worked. I think I put just a touch too many bits in. They didn’t ruin the cookie or put it into the “savory” category, but they were just a touch too close to savory. Either that or they needed more chocolate. Great basic chocolate chip cookie recipe though, with a bit of sugar removed and a touch of maple syrup added. Will definitely perfect the measurements on these and share them. I gather these will be a hit with some and gross to others, so when the recipe is up, you’ll have to try them at your own risk. And beware, I’m also working on a potato chip cookie inspired by Smitten Kitchen. The title is a mouthful. And so are the muffins. These were inspired by the magnificent Irvin of Eat The Love. I used his recipe for the strawberries and did a pretty basic lemon muffin, just with meyer lemon juice and zest. I think I overbaked these just a bit, but my testers seemed to like them. Another recipe requiring a few tweaks before I present a final version, but I think it’s pretty solid overall. Second attempt at ice cream! My testers liked this ice cream, but I need to add more balsamic next time. 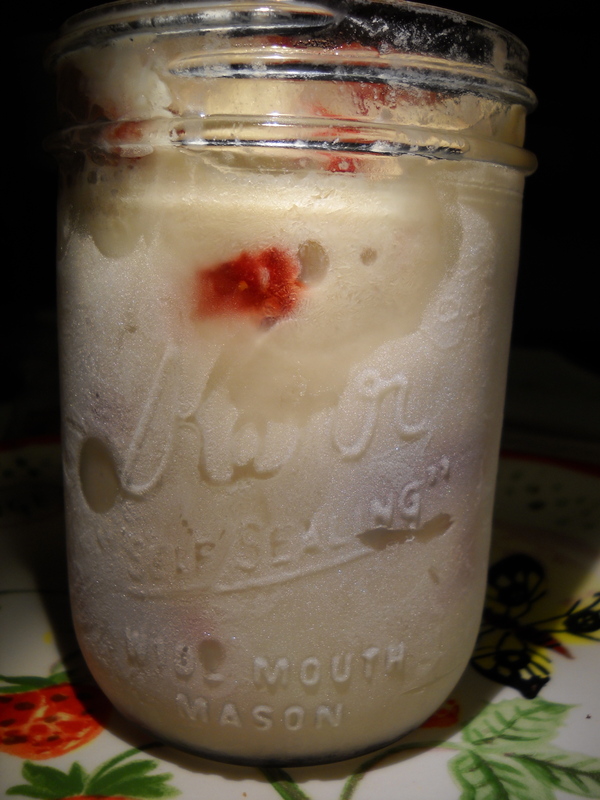 I also think that I’d like to do a combo of chopped strawberries and pureed strawberries rather than the bigger chunks. 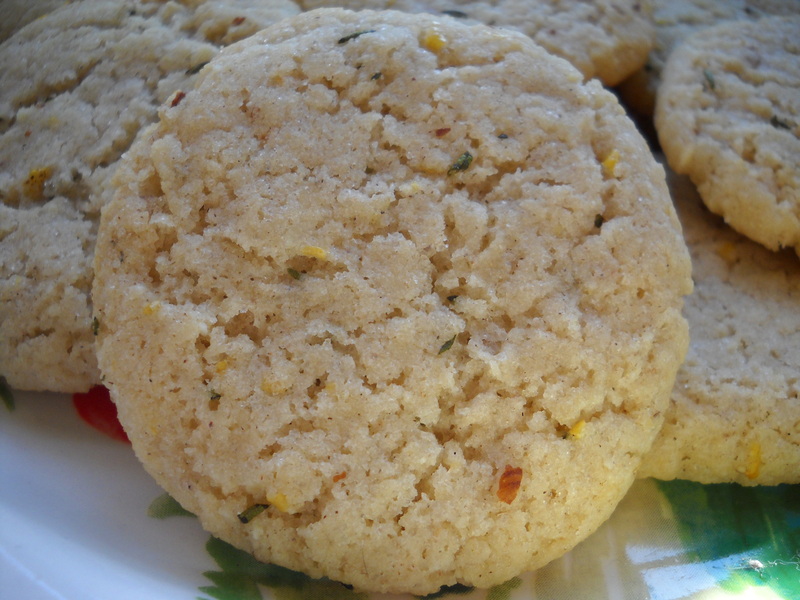 I made salted rosemary shortbread last weekend and it was amazing. Rosemary, lemon and olive oil sounds just as good! These look amazing. As you know from the other day I went crazy with my baking. You always inspire me!